Ergenekon divides Kurdish politicans, too. Documents seized in a police raid on the house of an executive of a TV station as part of the ongoing Ergenekon operation have revealed that a secret and illicit military intelligence unit known as JITEM was engaged in several illegal acts, including drug and human smuggling and arms trade with the outlawed Kurdistan Workers’ Party (PKK)…. The recent decision by the Turkish Constitutional Court not to close the ruling Justice and Development Party (AKP) helped Turkey – and especially Prime Minister Tayyip Recep Erdogan – narrowly dodge a dangerous political bullet, writes F. Stephen Larrabee. 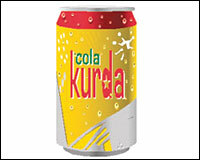 The Turkish Patent Institute (TPE) has not approved applications for beverage brand name “Cola Kurda” because it found resemblances to the emblem of the separatist Kurdistan Workers’ Party (PKK) in the product’s name and colors. The most recent patent application was made by Ramazan Aslan, who named the beverage “Cola Kurda” and used yellow, green and red colors in its emblem together with a star symbol — bringing to mind the colors used by the PKK. Interview with İsmail Beşikçi: A life time challenging the Turkish State’s treatment of its Kurdish people. İsmail Beşikçi is something we do not have in the UK and Ireland, a political dissident whose base is academia, yet who is still prepared to take on the State. The nearest comparison in modern times were the Soviet dissidents like Andrei Sakharov and Anatoly (Natan) Shcharansky. Judges and Prosecutors Association (YARSAV) President Ömer Faruk Eminağaoğlu, a prosecutor at the Supreme Court of Appeals, has for some time been the focus of several criticisms. Mental occupation is the worst of all occupations. Territorial occupation hits the territories occupied and their inhabitants. Mental occupation hits the interlocutors of all communications created by the occupied mind. 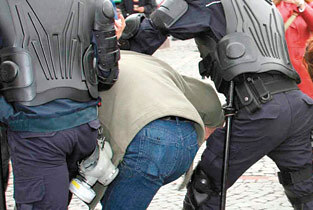 Territorial occupation creates its own resistance; the dynamics that will bring its end are part of its own definition. Mental occupation reproduces itself through resistance to it. Prime Minister Recep Tayyip Erdoğan, in remarks likely referring to corruption claims raised by the main opposition Republican People’s Party (CHP) about Justice and Development Party (AK Party) Deputy Chairman Şaban Dişli, said in the northern province of Rize last Friday that his party never set its eyes on the bread of the orphans. In a past article I had argued that the main opposition Republican People’s Party (CHP), which I tended to harshly criticize for its politics and opposition mentality, had finally found a proper manner of conducting politics by discussing claims of corruption, a considerably important development. One central issue, a chronic and infectious one, will be pushing itself forward at accelerating speed starting in the fall and continuing into next year. The issue revolves around whether local elections to be held next March will set the dynamics for creating a political alternative to the Justice and Development Party (AK Party) or not. A democracy with single-party rule or rule without alternatives is out of the question. Why is Erdoğan lashing out? Justice Minister Mehmet Ali Sahin has said nearly 5,000 people submitted complaints to judicial bodies over maltreatment or torture at the hands of police and members of the gendarmerie from 2006-7…. Welcoming the Justice and Development Party (AKP) government’s declaration of its intention to launch a new wave of EU reforms, EU Enlargement Commissioner Olli Rehn wrote in a recent article that he sees such a path as the only way for Turkey to break the vicious circle of reproducing crises on an annual basis. Prime Minister Recep Tayyip Erdoğan drew criticism by accusing environmentalists of organizing protests as a hobby in a speech he delivered in the Black Sea province of Rize over the weekend. The idea that the state is becoming stronger than it needs to be and that this restricts the sphere of rights and freedoms is becoming widespread in Turkey. Was Gaffar Okkan killed by Ergenekon? On Jan. 24, 2001, a bloody political murder was committed in Diyarbakır. Police Chief Gaffar Okkan was killed, along with five police officers who were guarding him, and four other officers were injured.